Frames: ten 120 second exposures for each of RGB. Synthetic luminance from RGB data. Processing: Stacked in CCDStack, balanced, curves, highlights, smart sharpened and diffraction spikes added in Photoshop SC5. Text from APOD: Many stars like our Sun were formed in open clusters. 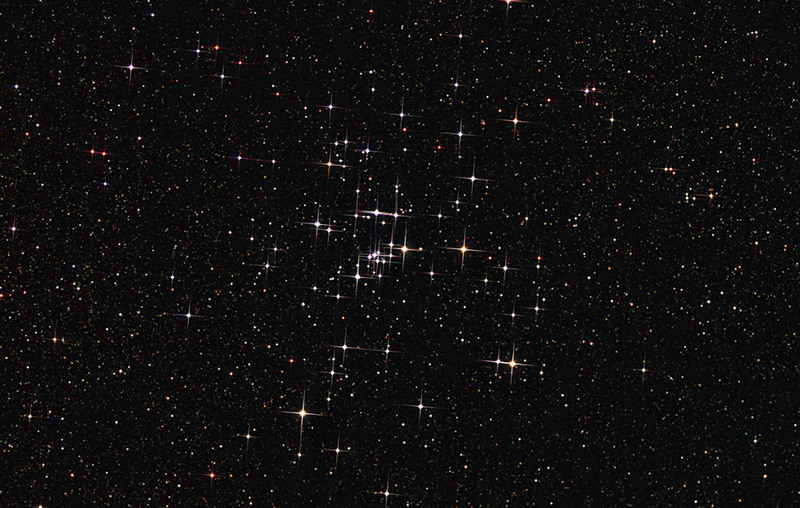 The above pictured open cluster, M25, contains thousands of stars and is about two thousand light years distant. The stars in this cluster all formed together about 90 million years ago. 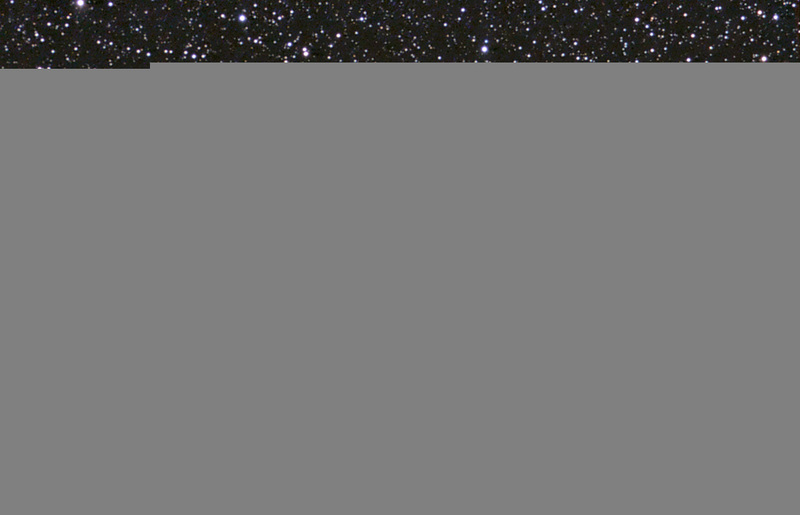 The bright young stars in M25 appear blue. Open clusters, also called galactic clusters, contain fewer and younger stars than globular clusters. 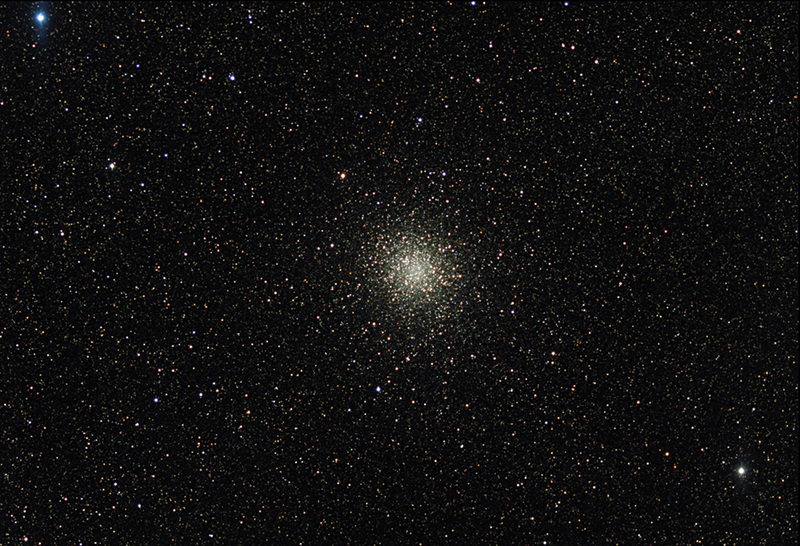 Also unlike globular clusters, open clusters are generally confined to the plane of our Galaxy. M25 is visible with binoculars towards the constellation of the Archer ( Sagittarius).